Class One Exchange (C1X) announced today the completion of an integration with MediaMath, designed to enable access to new premium inventory for brands and agencies. MediaMath’s clients can now access highly privileged supply offered by C1X through both Open RTB and through private marketplace deals. C1X and MediaMath also plan to bring new partnerships to market in 2016. As programmatic media adoption increases, marketers are demanding more access to better supply. Inventory access is complicated with barriers like fraud, viewability concerns and ubiquitous low-quality supply. To answer the call for marketers, since early 2016, MediaMath and C1X have been working on a new methodology to integrate with premium supply. 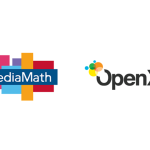 MediaMath’s customers and publishers working with C1X will gain access to inventory on premium publishers that is materially enhanced with audience and inventory data from C1X. 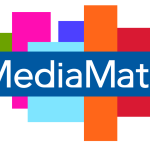 For MediaMath’s existing platform buyers, the new integration will open up a new pool of premium publisher inventory. The entire project was conceived and executed on an accelerated pace, about four months in total. With so many deals and integrations always in queue across so many ad tech players, there generally exists an unappreciated value when a smaller company delivers seemingly complex integration solutions on pace and tandem with a larger company’s development team.